When selecting components and doing a control system design, the failure state(s) of the various devices and the controls need to be considered. Once the final selections have been made, another review of the failure modes of the various devices and the design should again be made prior to making any purchases (or procurements). The most common reason I still encounter for using devices or designs that do not fail safe, is simply that failure of the device or design is not considered. In looking up the definition of what constitutes something that is “fail-safe” this is the definition used in this article and is adapted from http://www.audioenglish.org/dictionary/fail-safe.htm. 1. a mechanism (or system) capable of returning to a safe state in case there is a failure or malfunction. To this definition I would add that in practice the engineer is looking at the most likely failure mode of a device and minimizing the downside risk of a device failure on some operation. The two perhaps most common examples of fail safe design in controls engineering is the wiring of a stop pushbutton into a PLC input, and the selection and wiring of limit sensors. In the early days of PLCs, it was common to see the stop pushbutton wired into the PLC as a normally open contact. This means that to stop something, the input had to be on momentarily. It didn’t take long to figure out that if the stop input wasn’t wired up correctly, that it was not possible to stop something once you got it going. The current practice is to wire the PLC input for a stop button as a normally closed contact (see image at left) so that the input must receive power in order to allow the output to turn on and run. This is generally the more desirable failure scenario. (Note that in the logic the stop is programmed as a normally open contact). In the case of limit sensors such as mechanical limit switches, photoeyes or proximity switches to sense the end travel of a mechanism, the failure state of the devices needs to be considered. If the mechanism fails to stop at the end limits and this can cause undesired consequences (such as equipment damage or personnel injury/death), the limit sensors are typically selected to be normally opened but held closed when the mechanism is within its operating limits. When the mechanism is at a limit, then the sensor for that limit would no longer be held closed and the mechanism would stop (going in that direction). When a failure occurs, such as a wire falls off, the power to the sensor fails, or the sensor fails opened, then the mechanism will stop as well. An alternative to the above solution would be to choose a normally closed output that opens when it sensed the end of limit flag on the mechanism. This is not as positive a solution, but sometimes it is not practical to add the necessary hardware for the limit sensors to be actuated for the entire permitted range of motion. 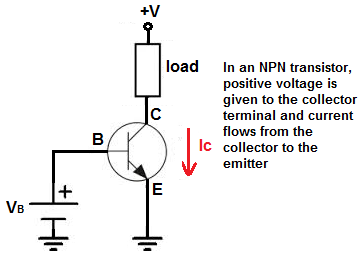 Solid state devices however often fail shorted (or on/closed). What to do about that? This also needs to be considered. In the case where the device could fail in the “on” or “off” state a secondary method often needs to be introduced to verify (and help guarantee) that all is operating as expected. Perhaps the most straight forward solution is to add a second sensor and some logic to detect a single failure. If one of the sensors switches, and the other sensor does not (within a reasonable period of time), then the system would stop and an alarm would be triggered identifying the problem to the operator and/or to maintenance. While fail-safety should always be considered to maximize reliability, it is not always necessary to do so if the consequences of failure are not serious or if the design has a certain level of inherent fail safety. For example if the mechanism does not stop due to a sensor that has more than 1 failure state, and the worst that happens is that the mechanism runs into some mechanical stops and the drive trips out on overload without causing any damage or injury, then a single sensor may be adequate. However even in this case, it might be worth looking for a different type of sensor that has a more well known failure state and design around that, especially if the cost is insignificant. Often just choosing the right sensor can improve fail safety without adding cost. Another consideration is getting the sensor to actuate reliably. So it is important to check the installation for anything that looks marginal. For example, with slotted adjustments I will often ask that the adjustment be pinned once everyone is satisfied with the reliability of the operation to prevent any movement of the sensor due to loosening of the adjustable settings. Using lock washers is another option. I’m not so trusting of slotted adjustments without pinning together (or otherwise securing) the two moving surfaces. Fail safe design does not mean it guarantees safety. It may just mitigate safety. If the simple solutions are not adequate (or seem questionable) then alternatives need to be considered to reduce the risk to acceptable levels. This gets into more advanced subjects of performing a formalized Hazard Analysis and determining the required Safety Integrity Levels. See references below for additional resources. For this article I want to mainly point out that paying attention to the failure state of a device or system can result in no and low cost solutions that can significantly improve both the reliability and safety of a machine or process. It can also help point to the need for a more rigorous safety review. Wikipedia defines Instrumentation as the art and science of measurement and/or control of process variables within a production or manufacturing area. The process variables measured in industry include, Pressure, Temperature, Level, Flow, Speed, Force/Weight, Vibration, Humidity, pH, Concentrations of various gases and substances in air or liquid, or any other physical property that someone has designed a device that can measure it, including analytical devices. 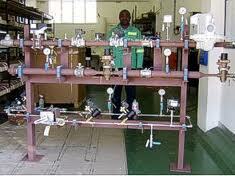 Instrumentation also includes Control Valves and sometimes other types of valves such as Pressure Relief Valves. Motors are typically not considered instruments. Solenoids and Relays also are generally not included in the instrumentation realm. Instruments can be simple indicators and gauges with no electronics or pneumatics attached. They include pneumatic and electronic devices and transmitters that bring the measured value (called the process variable) into the PLC, DCS, or other intelligent device that can display and/or control a process using the measured values from the instruments. Instruments may also include panel mounted gauges, indicators, recording devices. However these have mainly been replaced with Computer based display devices. 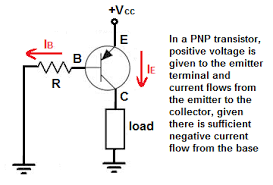 Signaling from an instrument is typically through a 4-20mA current loop. The Instrument typically converts it’s internal measurement signal into a 4-20mA signal that corresponds to the measurement via a Transmitter. For example a pressure transmitter measures a pressure say of 0 to 100 psig and transmits a signal from 4 to 20 mA (milliamps) that corresponds to the 0 – 100 psig signal where the 4 mA signal corresponds to 0 psig and the 20 mA signal corresponds to 100 psig. A 0 mA signal indicates a broken wire or other wiring problem. A signal between 0 and 4 mA can indicate an out of range/under-range condition and a signal of >20mA indicates an over-range condition or other failure depending on the options available for the instrument. Loop diagrams are often created to show all of the signaling between the instrument and the PLC or DCS. Signally between the instrument and the PLC, DCS, or intelligent device can also be done using voltage signals (such as 0-10VDC, or 1-5VDC, or even -10-10VDC for measurement of process variables that can just as likely go negative like speed), over various communications protocols such as Ethernet or wireless. Instrument Engineers select appropriate instruments for a given process. Factors to consider include the desired measurement type, the measurement ranges, the process conditions that the instrument must withstand (temperature ranges, pressures, chemical resistance, environmental conditions, instrument reliability and history in prior installations under various conditions, etc.) Working out the signaling requirements and developing loop diagrams or schematic diagrams may also fall into the instrument engineers domain. 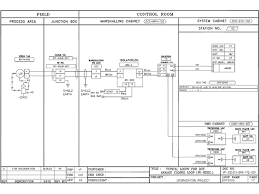 Process And Instrumentation Diagrams (P&IDs) often form the basis for the Instrument Engineers work. He usually assists in creating these drawings with the process engineer by adding all the instrument “bubbles”. Once completed then all of the instruments for a project are identified. of the instrument and is used to get supplier quotations and as a record of the desired and provided instrument and even to track the history of the instrument. 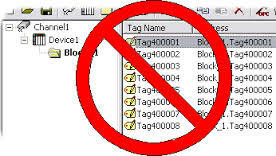 In this latter case the data sheet is often a report generated by a database program (such as Meridium). Instrument Engineers may also collect data and history on instruments in their facilities, do cost benefit analysis, evaluate new instruments as they come to market, etc. Assisting the technicians by writing calibration and other maintenance procedures and assembling troubleshooting notes and tips may also fall in the Instrument Engineers domain. According to WordPress, this blog was viewed about 14,000 times in 2013. That’s another record year, with readership doubling over the last 2 years. Your views, readership and comments are most encouraging. but over time (and as learning takes place) the control can get fairly complex as the desire for tighter control increases as was the case in this project. The project was posted as 4 separate Blog articles over a period of time starting with http://74.95.67.199/controls/2013/03/18/hot-water-project-phase-1/. I’m republishing these articles here so the reader can see the progression of solutions offered, all to achieve increasing levels of control needed for what turned out to be a tightly controlled application using process knowledge, feed forward, and a cascaded PID control. Posted on March 18, 2013 by Wayne S.
One of the more common projects is to heat water (or some other liquid) from a random cold temperature to a desired working temperature. The inevitable discussion occurs with your boss or the customer regarding the usual items – schedule, scope and costs. 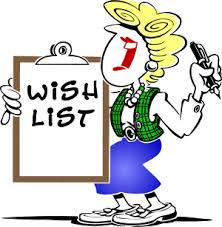 If you are lucky, the customer has properly identified the scope of the project. He has adequately determined the variation of the process input temperatures and flow, variations in the heating media, identified the economic value of maintaining a specific temperature or incremental losses due to off-spec temperatures and identified potential future uses and changes for the output of this process. He would also have properly identified reasonable capital costs and provided adequate lead time for this engineering process. Dream on! The majority of projects seem to be “We are tight on the schedule, we needed the control design done yesterday”. “Oh, by the way, this was an oversight so we don’t have any budget identified for the control equipment, so the cheaper the better”. “You may want to talk with the Project Scheduler so we can keep your costs in tow”. “All of the information you need is in the plant documentation files”. “The Process Engineer has already bought all of the control elements so you may want to talk with him”. In subsequent discussions with the Project Manager and Process Engineer you find that a closed tube and shell heater (a heater in which the heating and process fluids do not mix) has been ordered. The heating media will be steam and condensate drips will be removed from the shell by pump. 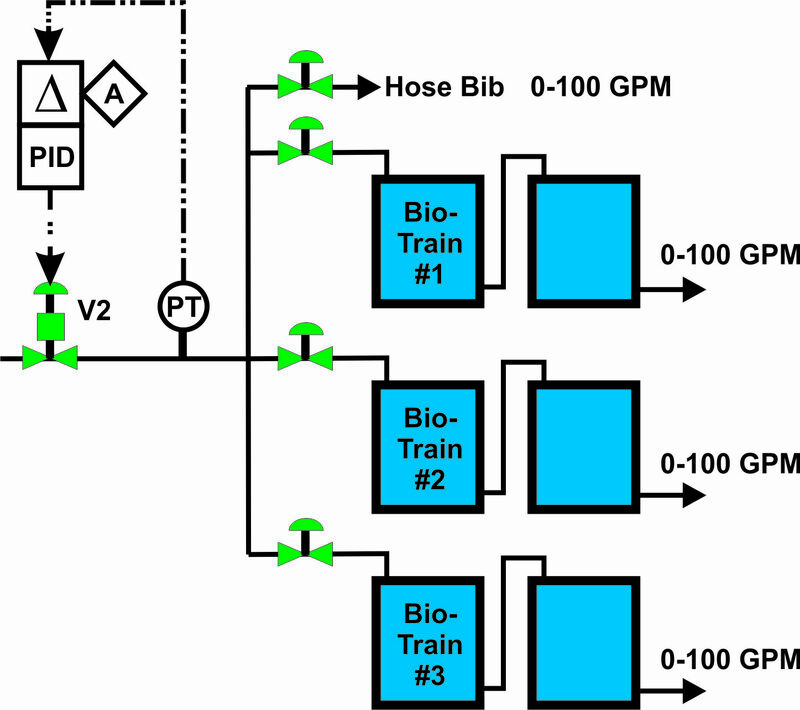 The process fluid is water and the final users/process will control the water throughput. The heating steam admission valve and process water flow valve have been procured. Both valves were purchased with trim linearized within the process piping. The downstream process that uses the heated water is proprietary and if they tell us about the process they will likely have to shoot us. The system as ordered appears relatively simple. Following the instructions as requested by the customer, a simple (cheap) control system was created. 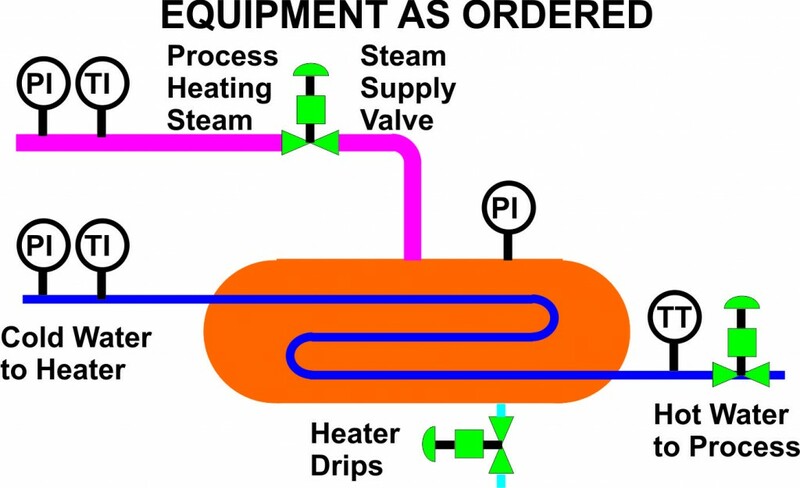 The temperature of the water exiting the heater was measured, compared with an Operator adjustable setpoint and the Heater Steam Supply Valve is manipulated to control the water outlet temperature. The system is commissioned and tuned and it appears the customer is initially satisfied that the control system is working as requested. All is good and it is time for a beer. Six months later the customer calls and is now unhappy with the system performance. They have performed testing and some areas of opportunities were identified. Posted on April 11, 2013 by Wayne S.
As we noted in the last blog, the customer has told you he is unhappy with the temperature control of the process water. After signing a telephone book of nondisclosure agreements the customer has offered additional information regarding his process. During the past months of operation they have been able to characterize the efficiency of the process in which the steam is being used. They inform you that the water is being used to supply a bioreactor with process water. 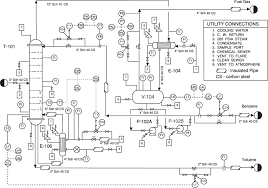 In addition they have provided you with charts that indicate the process efficiency versus the water temperature presented to the bioreactors and Piping and Instrumentation Diagrams (P&ID). We also note that the customer has identified that the best operating point is at 112 degF and the production efficiency falls off significantly both above and below this target temperature. 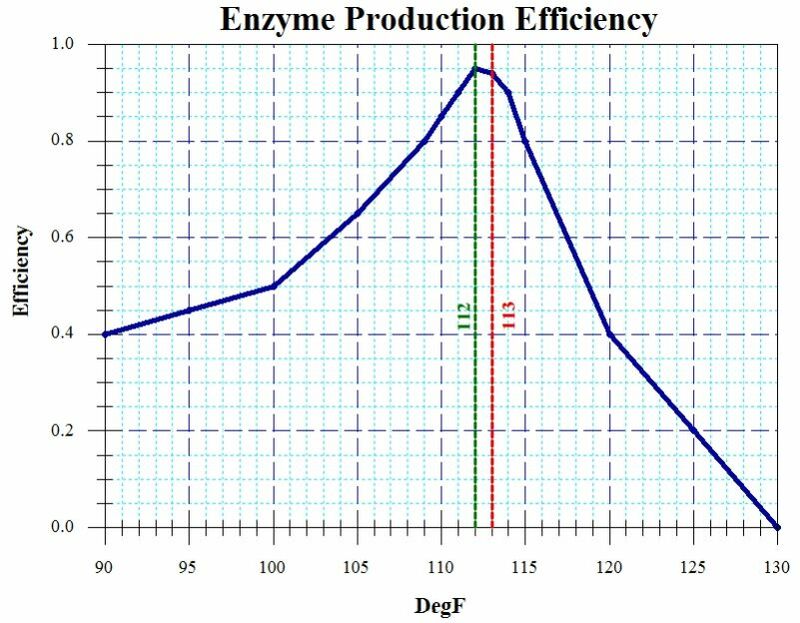 The enzyme reactants are expensive and it is in their interest to minimize the waste and costs by more accurately controlling the temperature. Also it was noted that the usage by the reactors was inconsistent and changes in the flows were causing a sluggish response in the final temperature. When one of the reactor trains is placed into service or removed in service, the flows would dramatically change and the spikes in temperature would waste reactants. They needed a mechanism to properly respond to these changes in demand. They also remind us that their operational budget does not necessarily have lots of money available for any changes – so the cheaper the better. 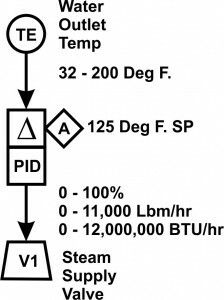 So we decided to track the position of V2 (the water flow control valve) and feed forward that signal to the steam valve V1 to minimize anticipate the demands for the steam heating requirements. 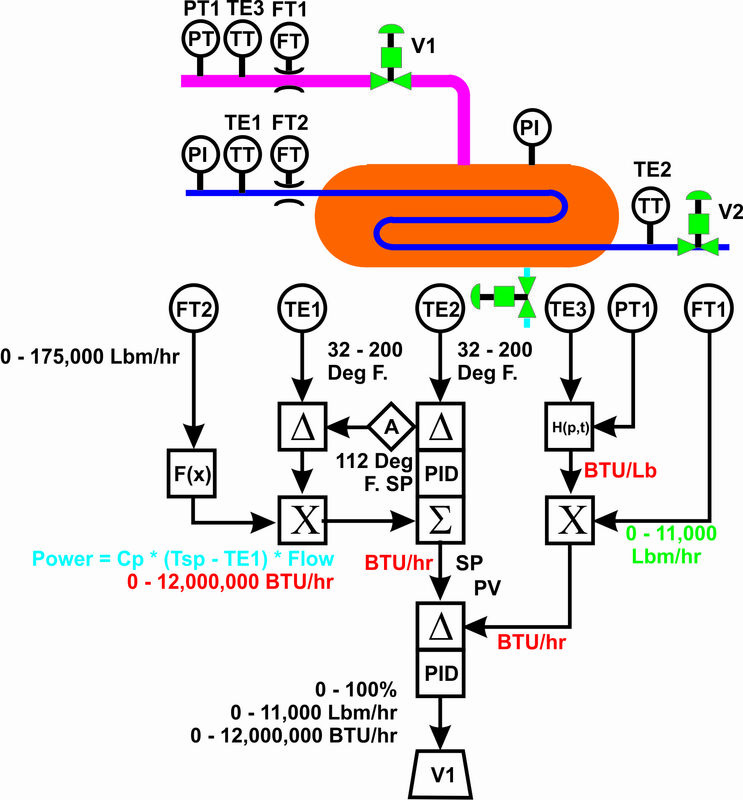 As a result the following control scheme was provided. Since the process engineer had linearized the valves we could easily relate the water flow valve position to an appropriate position demand for the steam supply valve. The system was configured, scaled and tuned, the customer is happy with the change – time for another beer. We receive a phone call approximately 3 months later and the customer informs us that the control performs better – but – there is a problem when the water inlet pressure to the heater changes and the water valve position does not accurately represent the flow through the system. They ask for a change to correct the problem. Posted on May 4, 2013 by Wayne S.
As we noted in the last blog, the customer noted that the water pressure varied and the water control valve position did not necessarily represent the flow through the heater. 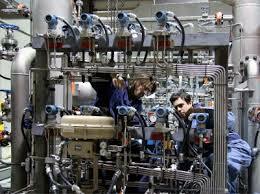 The customer has indicated that they would be able to release some additional funds for process instrumentation. At this time a flow measurement of the incoming water was added and the control configuration modified and rescaled to respond to actual water flow. 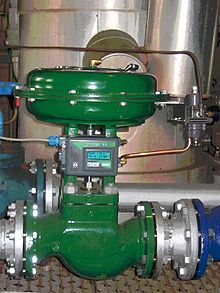 A flow transmitter, FT2, was added and used to replace the valve position feed forward. Since we know the relationship between flow and heating demand we were able to easily rescale the feed forward to steam valve position demand change. Modifications were made to the configuration, blocks rescaled and system retuned. Customer exercised changes in the upstream water pressure and was again happy with the new configuration results. Again we received another phone call approximately 3 months later. The customer indicates that when they switch from city water at 70 degrees to well water at 50 degrees, the system takes too long to respond to these changes. They asked if we could help them with the response of the system. At this time we proposed that we actually measure the incoming water temperature and anticipate the demand to the steam valve. After the customer agrees to the additional costs of the instrumentation, we provide a new solution. With this modification we no longer depend on the design differential temperature demand for the feed forward, we actually measure the flow and needed increase in water temperature. 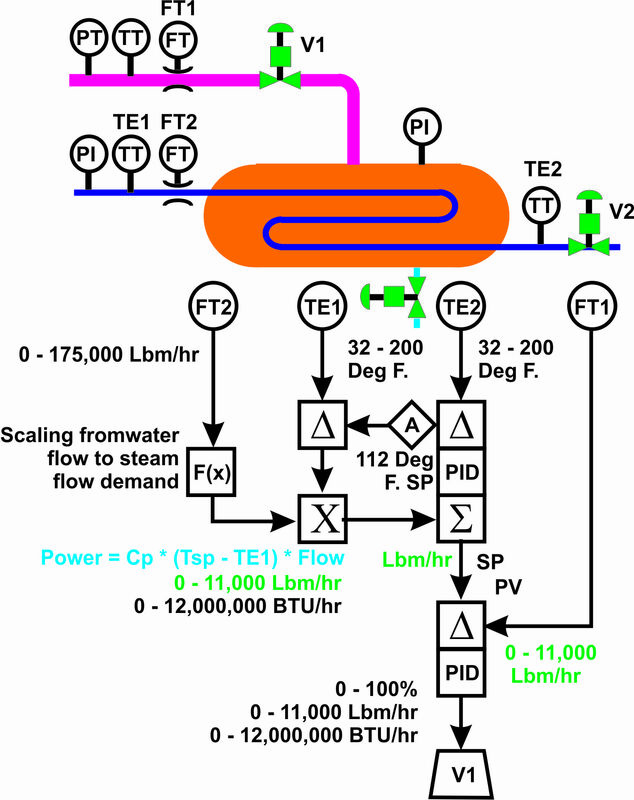 From these we can directly calculate the power demand and feed forward this scaled demand to the steam valve. Again the system is reconfigured, rescaled and tuned. And again the customer is happy with the changes made to the system. And again we are ready for beer time. The customer calls back approximately 3 months later and indicates that there are still opportunities to minimize temperature deviations. They have noted that when the other process steam demand changes, the inlet steam pressure changes and they do not necessarily get the steam flow desired into the heater. Next time – let’s get the steam under control. Posted on June 10, 2013 by Wayne S.
As we noted in the last blog, the customer noted that the steam pressure varied and the steam control valve position did not necessarily represent the steam flow to the heater. Let’s get the steam under control. 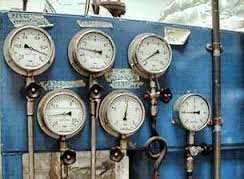 We tell the customer that the addition of instrumentation to the steam lines will cost more than the previous instruments we have already added. They indicate that even small reductions in the loss of reactants would cover any of the costs of new instrumentation. We inform the customer that we will add a temperature compensated steam flow meter and reconfigure the controls to accommodate the new instrumentation. The following is the new control arrangement. You will note that we have now moved from a simple feed forward control to a feed forward – cascade control system. The reason for the cascade is we now are actually controlling the steam flow by manipulating the steam valve. The “inner loop” (steam flow) will be tuned first and then the “outer loop” (steam flow demand) will be tuned. 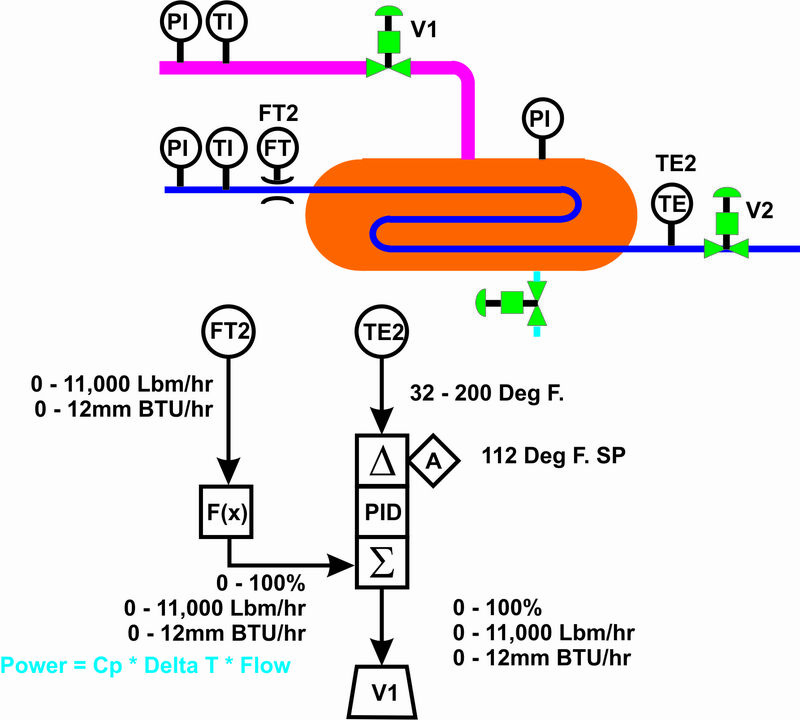 The feed forward is now rescaled from valve position to steam flow demand. And again we implement and tune the new configuration. The customer is happy with the new and smaller error band of the water temperature. The customer calls again in several months and indicates that they have related some small temperature differences in the water to incoming steam temperature. Reducing these temperatures could again reduce the loss of reagent in the bioreactors. We have one final change and inform the customer that it will not require the addition of any instrumentation – only some engineering and reconfiguration of the control arrangement. The following is what was proposed. In this case we add an enthalpy calculation to the steam. Some manufacturers have this block built-in to their algorithm set but in most cases this calculation is performed using multiple blocks. Using the steam pressure and temperature we can calculate the energy contained within the steam (enthalpy). Since we also are measuring the actual steam flow, we can now directly control the energy entering the heater due to the steam. This is a full model of the process. We measure and calculate the energy demand required by the water and directly control the heating energy provided by the steam. The control configuration is rescaled such the inner loop controls the total BTU/Hr provided by the steam while the feed forward and outer loop is rescaled to BTU/Hr. The result of this set of blogs on the heater project is a take-away with several lessons.
. – Many of the control projects begin as an afterthought.
. – Management and operations live with the limitations of the control process. They do not want to spend the money or shut down production for any enhancements. The revenue they may lose due to the maintenance shutdown is a deterrent to any appropriate upgrades to the system. o Most control projects do not evolve beyond first simple regulatory control implementation (Process Measurement -> PID controller -> Manipulated device). o Extensive efforts are made to adapt and modify the tuning parameters with respect to the existing measured parameters but no additional efforts are made to add instrumentation and properly enhance the model of the application.
. – Spending the time and effort at the beginning of the project to determine scope of instrumentation and control required for the long-term best profit over the life of the system will pay off large in the long run. Establishing a proper design and cash-flow will identify the extent of modeling that will be cost effective. 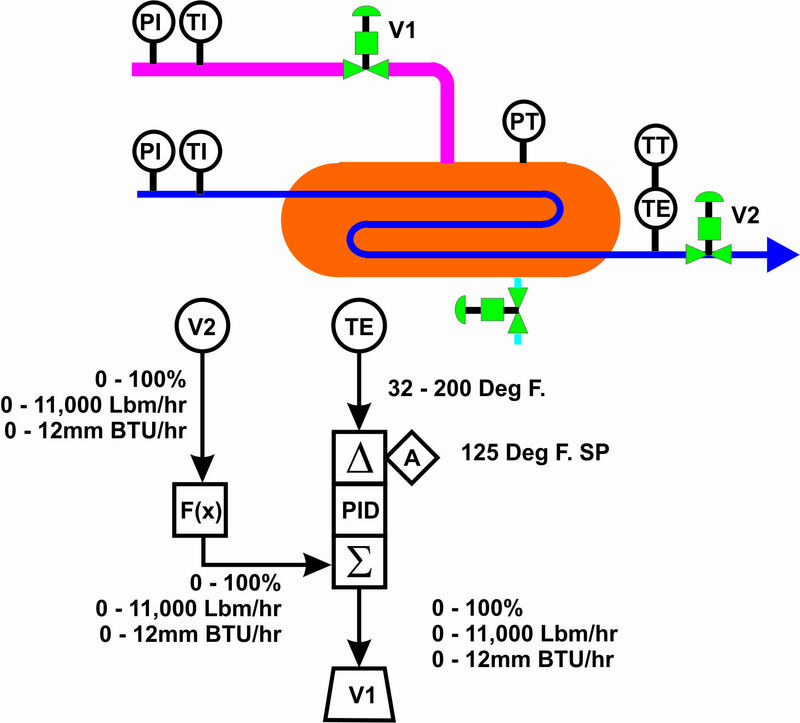 For Waynes other articles on Process Control see http://74.95.67.199/controls/. 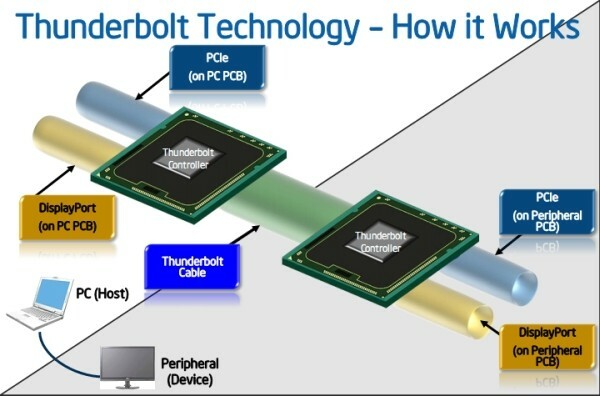 We are starting to see computers and peripherals coming out with the Thunderbolt interface included. This interface supports data rates up to 20 gigabits per second. Impressive speed! 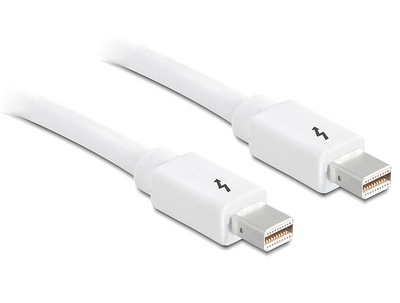 The connector is a Mini DisplayPort connector and so is sized to fit in portable devices. It looks like the price point is in line with USB solutions. 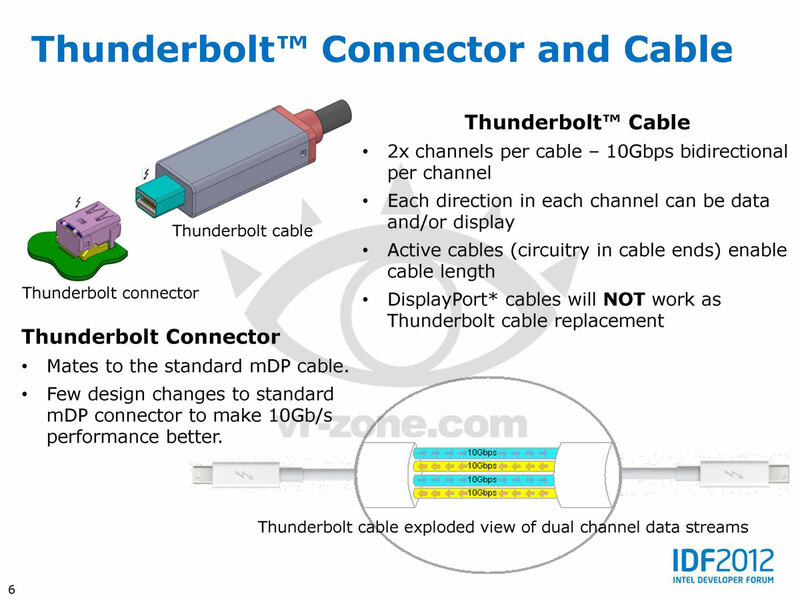 This raises the question “Will Thunderbolt replace USB, Firewire and eSATA?” While these interfaces will likely co-exist for years to come, Thunderbolt seems poised to dominate, especially with so many manufacturers now offering this interface in their products. This interface handles both data and video content and can route data or video streams directly to the proper hardware channels. This means that you can hook a compatible monitor directly to this port, or you can connect a compatible hard drive for data connections to this same port. 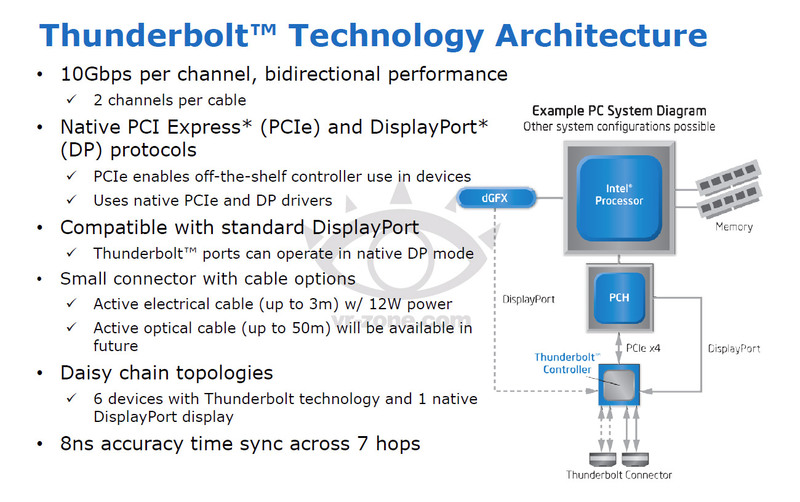 It will be interesting to see if interface devices start to show up that convert signals from one interface type to another, so that a smart phone with a USB connection can be plugged in a computers Thunderbolt port. This won’t be something that will be needed soon for USB devices, as the new line of computers still have USB ports as well. 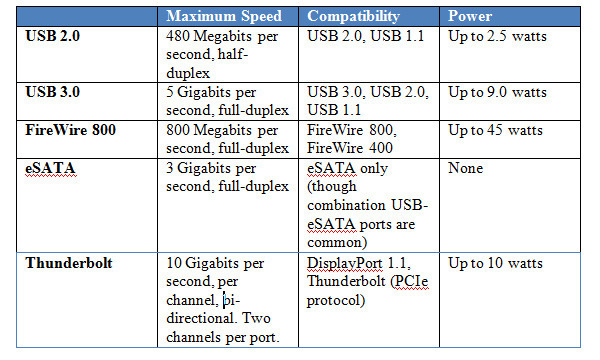 However the option for eSATA and FireWire ports might diminish fairly quickly, especially if converters do become readily available for these more specialized needs. It would seem prudent to be looking for this interface in your next PC, laptop, or high-end tablet device. Here is a collection of images that describe the interface in some detail. For additional details see the Wikipedia article on Thunderbolt. This article provides additional specifications, details on the pin outs, and the history of this interface. As I find myself doing more grain elevator controls and working on adding sensors to notify the operators and shutdown equipment in order to avoid potentially hazardous situations, I thought it good to research and review the regulations and concerns surrounding grain elevator fire and explosion hazards. References are noted at the end of this article. Grain elevator fires and explosions are fairly well documented. 3. Oxygen in air (oxidizer). 5. Confinement of the dust cloud. “OSHA 29 CFR 1910.272 simply titled “Grain Handling Facilities” is the primary document regulating practices in these types of facilities. This is noted in OSHA Standard 29 CFR 1910.272 (q)(4)(ii) where it states: “Provide vibration monitoring, temperature monitoring, or other means to monitor the condition of those bearings mounted inside or partially inside the leg casing”. This is noted in OSHA Standard 29 CFR 1910.272 (q)(6)(i) where it states: “The employer shall: Equip bucket elevators with a belt alignment monitoring device which will initiate an alarm to employees when the belt is not tracking properly; or, Provide a means to keep the belt tracking properly, such as a system that provides constant alignment adjustment of belts”. 3. Conveyor slow down sensors. This is noted in OSHA Standard 29 CFR 1910.272 (q)(5) where it states: “The employer shall equip bucket elevators with a motion detection device which will shut-down the bucket elevator when the belt speed is reduced by no more than 20% of the normal operating speed”. Section (q) applies to “Inside bucket elevators” which are defined as …a bucket elevator that has the boot and more than 20 percent of the total leg height (above grade or ground level) inside the grain elevator structure. Bucket elevators with leg casings that are inside (and pass through the roofs) of rail or truck dump sheds with the remainder of the leg outside of the grain elevator structure, are not considered inside bucket elevators”. Another point worth noting is that OSHA (in section (q)(4) does not require bearing temperature monitoring if the bearing is not mounted “inside the leg casing”. All of the bucket and belt conveyors I’ve worked with had the bearings outside of the conveyor casing or enclosure and yet they have bearing sensors installed in them. As for vibration monitoring in lieu of temperature monitoring, this is something I’ve not seen or heard about as something implemented. The reason is likely that temperature monitoring is probably more straight forward. 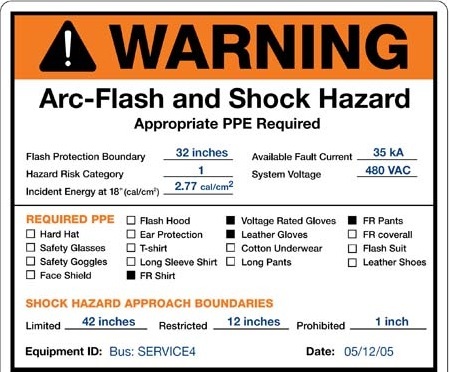 Many in the industry believe that OSHA will be strengthening these requirements to automatically shut down equipment not only if the speed of the bucket elevator slows down, but also if the bearing temperatures get to high or the belt goes out of alignment. Additionally these rules are also being applied to any type of belt conveyor. For drag conveyors only bearing temperatures are generally monitored. Alignment sensors and the slow down sensor are not seen as needed for drag conveyors since these are driven by a sprocket guided chain and have sensors to detect a chain break condition. I was unable to find any information supporting the belief that OSHA will strengthen the existing requirements. I would invite the reader to comment with additional insight on this topic. When considering the risk or fire or explosion, a big concern is secondary explosions that are caused by the dispersal of grain dust into the air from the first explosion that in many cases is more severe than the initial explosion. 6. NFPA 61, Standard for the Prevention of Fires and Dust Explosions in Agricultural and Food Processing Facilities.